University of Manchester researchers and colleagues have found a way to identify potentially ideal drug combinations (from billions of others) that would prevent inflammation from occurring. The findings, published online on October 23, 2011 in Nature Chemical Biology, could be the first step in the development of new drug combinations to combat severe diseases and conditions. Most non-infectious disease, such as cancer, stroke, and Alzheimer's are worsened by inflammation, which is the body's natural defense mechanism. Inflammation has evolved to help fight infection but can also be very damaging in long-term disease, prolonging suffering and ultimately possibly contributing to premature death. After a stroke, the body reacts to the injury as if it were an infection, causing further damage. By blocking the inflammation, the chances of survival or higher quality of life following a stroke are greatly enhanced. This can be achieved by quickly and effectively identifying combinations of drugs that can be used together. Existing 'clot-busting' stroke drugs are only effective if administered within three hours after the stroke – often very difficult to achieve as people are often unaware they are having a stroke – and even then do not completely solve the problem, often leaving sufferers with serious disabilities. However, using ideal drug combinations the researchers suggest they can block inflammation and therefore greatly reduce the damage caused by non-communicable diseases such as stroke. Although the researchers have initially concentrated on stroke, they believe the process can be applied to all drugs and for a huge variety of diseases. Two new studies add to the growing body of evidence that a new approach to cataract surgery may be safer and more efficient than today's standard procedure. The new approach, using a special femtosecond laser, is FDA-approved, but not yet widely available in the United States. It's one of the hottest topics at the 115th Annual Meeting of the American Academy of Ophthalmology. Research reported on October 23, 2011, by Dr. William W. Culbertson, of the Bascom Palmer Eye Institute at the University of Miami School of Medicine, and by Dr. Mark Packer, of Oregon Health and Sciences University, confirms several advantages of laser cataract surgery. Dr. Culbertson's team studied how pre-treating cataracts with the femtosecond laser affected the level of ultrasound energy needed to soften the cataracts. This emulsification is performed so that the cataracts can be easily suctioned out. Surgeons want to use the lowest possible level of ultrasound energy, since in a small percentage of patients it is associated with slower recovery of good vision after surgery and/or problems with the cornea, which is the clear outer layer of the eye. Ideally, in appropriate cases, ultrasound use would be eliminated altogether. In Dr. Culbertson's prospective, randomized study, 29 patients had laser cataract surgery with a femtosecond laser in one eye and the standard cataract procedure, called phacoemulsification, in the other. Laser surgery included: a laser capsulotomy, which is a circular incision in the lens capsule, followed by laser lens fragmentation, then ultrasound emulsification and aspiration. Lens fragmentation involved using the laser to split the lens into sections and then soften it by etching cross-hatch patterns on its surface. A genetically engineered clotting factor that controlled hemophilia in an animal study offers a novel potential treatment for human hemophilia and a broad range of other bleeding problems. The researchers took the naturally occurring coagulation factor Xa (FXa), a protein active in blood clotting, and engineered it into a novel variant that safely controlled bleeding in mouse models of hemophilia. "Our designed variant alters the shape of FXa to make it safer and efficacious compared to the wild-type factor, but much longer-lasting in blood circulation," said study leader Dr. Rodney A. Camire, a hematology researcher at The Children's Hospital of Philadelphia. "The shape of the variant FXa changes when it interacts with another clotting factor made available following an injury," added Dr. Camire. "This increases the functioning of the protein which helps stop bleeding." Dr. Camire is an associate professor of Pediatrics in the Perelman School of Medicine at the University of Pennsylvania. The study appeared online on October 23, 2011 in Nature Biotechnology, and will be published in the journal's November 2011 print issue. 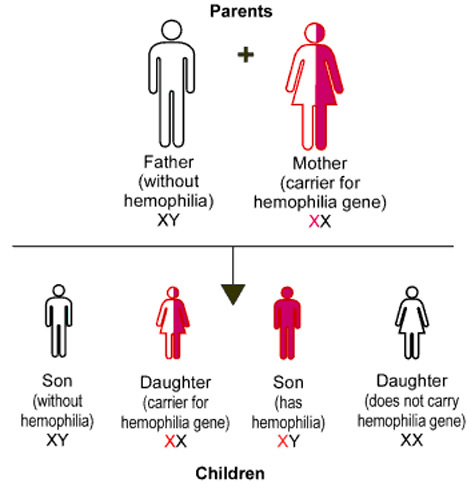 In hemophilia, an inherited single-gene mutation impairs a patient's ability to produce a blood-clotting protein, leading to spontaneous, sometimes life-threatening bleeding episodes. The two major forms of the disease, which occurs almost solely in males, are hemophilia A and hemophilia B, characterized by which specific clotting factor is deficient. Patients are treated with frequent infusions of clotting proteins, which are expensive and sometimes stimulate the body to produce antibodies that negate the benefits of treatment. Roughly 20 to 30 percent of patients with hemophilia A and 5 percent of hemophilia B patients develop these inhibiting antibodies.